9x12 Presentation Folder with two 4" adhesive pockets. 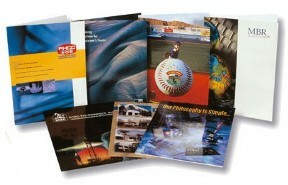 Digital Printing on front and back of folder only. Paper: C1S 10 pt. - White cardstock. Business Card Slits are standard on right pocket. Turnaround: 2-3 working days upon proof approval. Rush: Same Day / Next Day Rush available. Please check for availability.